Enjoy scrumptious desserts and techniques demos at the Sweet Sensations event while helping to support scholarships and programs for at-risk students in Careers through Culinary Arts Program (C-CAP). 100% of the proceeds raised at this event will go to C-CAP, www.ccapinc.org. 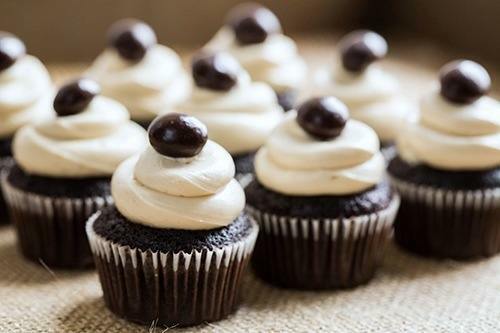 Hazel of Tasty Pursuits is making Smoked Sumatra Coffee cupcakes (pictured above) for the event. Sunday, April 21, 2013, 3:00-5:30 p.m.
Amazing door prizes including a copy of the Momofuku Milk Bar Cookbook signed by Christina Tosi, baked goods from Pound for Pound Bakery, and many others.